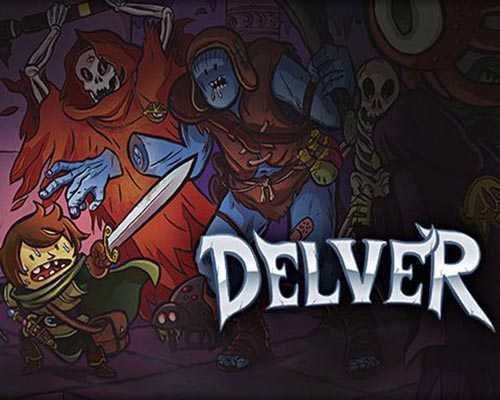 Delver is a RPG, Action and Adventure game for PC published by Priority Interrupt in 2018. Explore the darkest dungeons under the ground. You will have a character under your control in the dungeons. The more you customize this character, The higher chance to survive you reach. Delve into the shifting dungeons on your hunt for the Yithidian orb, but getting it might just be the easy part. Delver is a single player first-person action roguelike dungeon crawler, just like you wished they used to make. Slay monsters, blast wands, hoard potions, and loot everything. Easy to pick up gameplay, but difficult to master. The dungeon has been waiting for you. At the start of each run, you’ll get a dagger, a random wand, a random potion and a random consumable to regen your health. Bow and arrows you’ll have to find during your delve into the dungeon, or buy at the shop before entering the dungeon. There’s a variety of swords, daggers, maces, halberds and other melee weaponry. They all work the same however. Combat is simple, the longer you charge your attack the more accurate it will be. You can also wield shield although you don’t seem to be able to block. Keep in mind that melee weapons deteriorate after long use. Archery is pretty straightforward. You first need to find or buy a bow and some arrows. Then just equip the bow and shoot some baddies! A great addition to this is the fact that you can retrieve arrows from dead bodies. They can break however after a while or if you miss and hit the wall. Archery is very useful against ranged enemies who are hard to get close to. In these dungeons once you’re dead you stay dead. Permadeath means that when you die, you begin each run into the dungeon anew. 3 Comments ON " Delver PC Game Free Download "